Mozilla Thunderbird is a free, open source, cross-platform email, news, and chat client developed by the Mozilla Foundation. The project strategy was modeled after that of the Mozilla Firefox web browser. Thunderbird is an email, newsgroup, news feed, and chat (XMPP, IRC, Twitter) client. The vanilla version was not originally a personal information manager, although the Mozilla Lightning extension, which is now installed by default, adds PIM functionality. Additional features, if needed, are often available via other extensions. Claws Mail is a free and open source, GTK+-based email and news client. It offers easy configuration and an abundance of features. It stores mail in the MH mailbox format and also the Mbox mailbox format via a plugin. Claws Mail runs on both Windows and Unix-like systems such as Linux, BSD, Solaris. Formerly known as Sylpheed-Claws, it started in April 2001 as the development version of Sylpheed, where new features could be tested and debugged, but evolved enough to now be a completely separate program. It forked completely from Sylpheed in August 2005. An open source email client for Windows. Developed with Delphi. Planning to port to Linux when Kylix(Delphi for Linux) becomes available. Mutt is a text-based email client for Unix-like systems. It was originally written by Michael Elkins in 1995 and released under the GNU General Public License version 2 or any later version. Mutt supports most mail storing formats (notably both mbox and Maildir) and protocols (POP3, IMAP, etc.). It also includes MIME support, notably full PGP/GPG and S/MIME integration. Mutt has hundreds of configuration directives and commands. It allows for changing all the key bindings and making keyboard macros for complex actions, as well as the colors and the layout of most of the interface. Mahogany is an open source cross-platform email and news client. It is available for X11/Unix and MS Win32 platforms, supporting a wide range of protocols and standards, including SMTP, POP3, IMAP, NNTP (including SSL support for all of them) and full MIME support. The current official release version is 0.67 (published in August 2006). Mahogany is developed by The Mahogany Development Team (Founding members Karsten Ballüder and Vadim Zeitlin). Cyrus is a scalable mail server available for both personal and professional use. Cyrus is based on many standards and offers two downloadable editions. As for Cyrus IMAPd, it is an open source IMAP server. The project came from Carnegie Mellon University in the US and dates back to 1994. It supports advanced functionalities such as push (IDLE), ACLs, shared folders, quotas, server side filtering (sieves) and a large number of SASL authentication methods. Cyrus IMAPd is distributed under the BSD License. A ZERO COST, fully fledged, full-featured mail server solution for Linux. Control over your own data. You have all personal data on your hard disk, it is not on somebody else's storage medium. 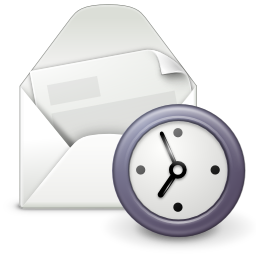 Your mail server setup is reproducible, easy to use, stable and deployed very fast.